Enjoy a wide variety of wines and hors d’oeuvres from a wide variety of restaurants and wineries. 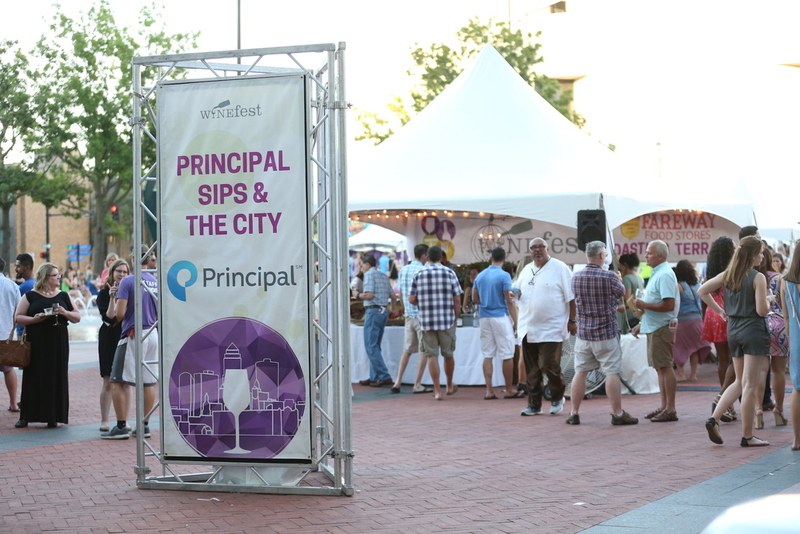 This is the perfect event to stop by after work and unwind with friends while enjoying one of Winefest’s most talked about events! This is an evening for wine lovers and novices to try unique wines with gourmet appetizers, all while listening to lively music. Elevate your experience when you upgrade to the Sammons Financial Group VIP Lounge. Guests in the Sammons Financial Group VIP Lounge will be treated to high-end wine, hors d’oeuvres and lounge seating. Plus, VIP’s receive access to the festival one hour early! This year there will be an outdoor VIP tent and indoor VIP seating lounge!